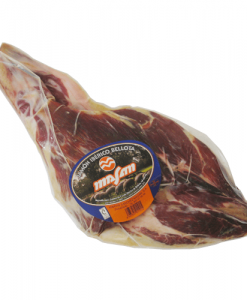 33-36 packs of 130 g.
Iberian ham acorn fed Martin Sanchez Sliced is a whole piece of iberian ham fed with acorn of holm oak, boned and vacuum packed. 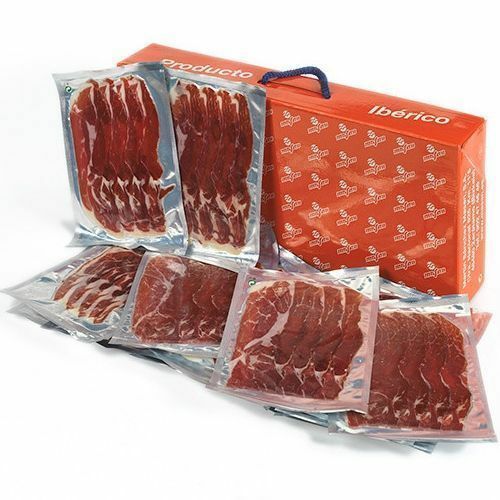 The result is a box of 33 to 36 sliced iberian ham vacuum packed of 130 grs. each one. 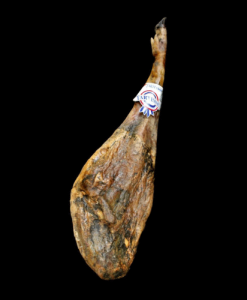 Thanks to the Martin Sanchez slice ham, you can enjoy of one whole piece of corn fed iberian ham in confortable portions already sliced for its better preservation. 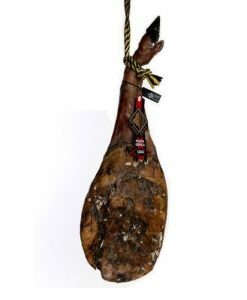 Martin Sanchez iberian ham is elaborated with 50% iberian pig and 50% Duroc pig, cured during 36 months in the castillian town of Guijuelo. 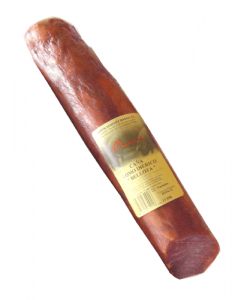 Buy this product to earn 332 Points for future purchases.